I wasn't originally planning on going to this show (A Hawk and a Hacksaw), but I had to swing by the Beachland to grab posters anyway, so I thought I stay and see what it was all about (noting that this band boasts a member of the now defunct Neutral Milk Hotel). I also ran into a couple friends there that kept me occupied through the openers. Pretty interesting stuff, though I'd expect to hear this at a croatian social club... oh wait, that's where I was (okay, so formerly a croatian social club). I can't say I was moved by the music, but I do think it's pretty funny to have two people there recording the same show. You can see the guy from the first video in the second one. Though I appreciate them doing the work and sharing it. This wasn't the video that I was expecting to accompany this song, at all (but I strangely like it). I've seen Ra Ra Riot twice before (1|2). They've been good shows, but I wasn't initially planning on going to this one... mostly because it was a Sunday night. However, I was lucky enough to score free Tickets from Scene Magazine (thanks Rebecca)! I had been listening to the album earlier in the day and I kinda felt like it's past it's prime for me, but that may have been the quality of the music coming through my lil' tape iPod tape adaptor. So coming to this show, I wasn't really stoked. When they took the stage, I was reminded why I've really enjoyed the previous shows. Lots of energy, a great mix of instruments and good songwriting. I had been planning on staying for only a couple songs, but every time a new one started, it wrapped me in and kept me just a little bit longer. Grog Shop was a great venue for them, would definitely like to see them come back there again. This show was something special... I first owe credit to Cleveland Bachelor for turning me on to these guys, who quickly rose to the top of my iTunes ratings. Another one of those bands that the more I heard, the more I liked. I was also happy to have turned a couple friends on to them who also joined me for the show. As with most shows at the Spot, I like to stop at the Spider before hand for a quick drink before walking over to the show. It was a gorgeous Wednesday evening and this was the night before a 5 day camping trip. It couldn't get any better. 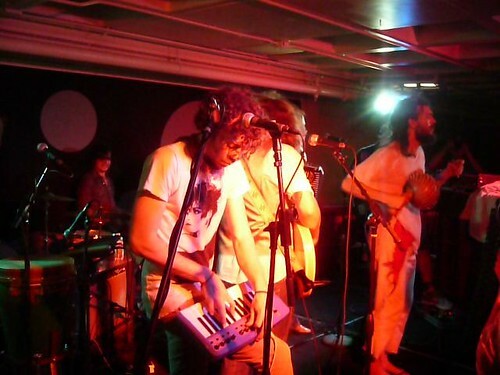 Edward Sharpe & the Magnetic Zeros took the stage... all 8 of them. I was a little nervous because this seemed like a big group of hippies who were about to perfom to an audience of Case Western students - not the most hippie friendly environment. But I think the audience was as amazed and excited as I was... 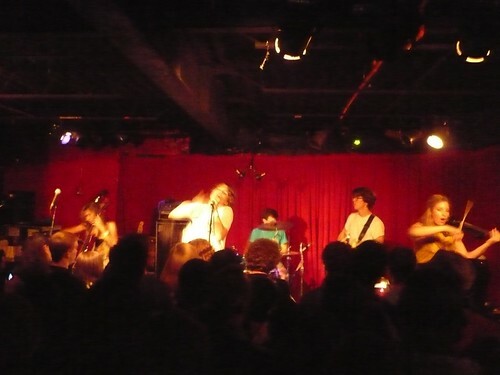 It's hard to not be moved by the energy of 8 people crammed on stage making music. It was almost like a traveling hippie revival, and I kinda wanted them to take me along for the ride. (still catching up...) I've been waxing poetic about Tom Evanchuck a lot lately... This was just another great night watching him perform, again in another small intimate venue. I really can't say enough good things about this kid. He's insightful, modest, unassuming, and incredibly talented. Full Album on NPR Now + The Good News is Here! Our friends at NPR have been by our side through this entire release, and starting today... are teaming up with us again in a big way. NPR music will be host to an exclusive first listen of I and Love and You now through September 29th! This means, starting today you can hear our new album,in it's entirety, right here! And thanks to all of you for the love and support from the start! Spinner also has a nice little carousel of full albums available for listening. I'd recommend checking out the new Sea Wolf, The Hidden Cameras, and the new Le Loup albums. Has it really been almost a month since this show?? Wow. It's been such a great end to summer and I'm really excited about this Fall. I guess time does fly when you're having fun (or just really freakin' busy). The Rural Alberta Advantage is a band I (somewhow) stumbled upon, but fell instantly in love with. The more I heard them, the more I liked them. I was even able to play a couple of their tracks on Christine's Stone Cold Bikini radio show! This was to be a night to remember. I had reason to believe I was going to really like all 3 bands performing. 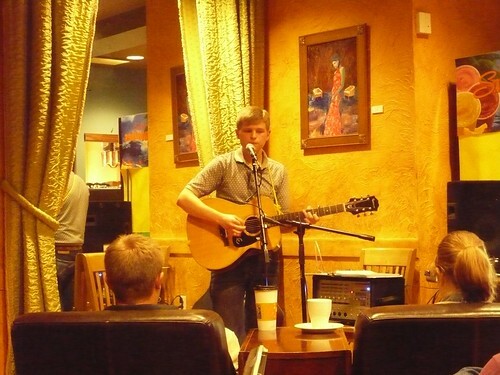 First was Alan Madej, who was highly recommended from a friend who saw him at a coffee shop open mic. Second was another local act, Unsparing Sea, which I heard kudos from their performance opening up for Yeasayer earlier this year. Both performances were good. My expectations may have been a little high, but I enjoyed their performances. 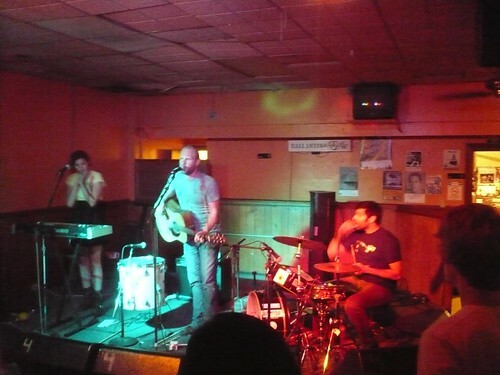 Earlier in the night, I had heard that the Rural Alberta Advantage had left a Casio keyboard at their last stop and were able to locate one in Cleveland on Craigslist. They recounted the story when they took the stage, but informed us that it was a dud of a keyboard. I think that put a little damper on things, as well as the audience was dead-quite. Their performance was good, but I think all circumstances combined to make it a mild energy show. Still, they held my respect with a strong performance. It ended on a stellar note with the band members stepping off stage (and off mic) to sing amongst us acoustically. That made the whole night worth it - it gave me chills. New Moon Soundtrack Lineup - Seriously? 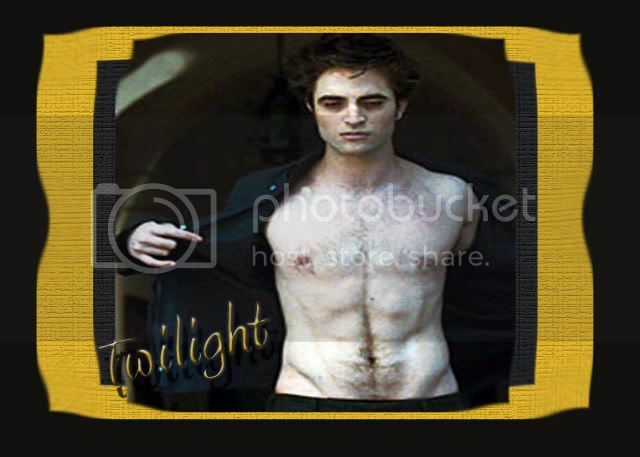 Despite promises that the soundtrack listing would be revealed on Friday, the artists and tracklisting for the much anticipated "The Twilight Saga: New Moon" were finally unveiled on Monday via MySpace. Although contributions from Thom Yorke and Death Cab For Cutie had been mentioned by director Chris Weitz ages ago - Death Cab's "Meet Me On The Equinox" is the first single - it was not known that Yorke would be contributing an entirely new song for the soundtrack, called "Hearing Damage." It had been speculated by fans that one of the many singles Yorke been releasing of late; including Radiohead's "These Are My Twisted Words," might make the cut. Other artists on board include Grizzly Bear, Lykke Li, Atlantic recording artist Anya Marina, Black Rebel Motorcycle Club, The Killers, Editors and most intriguing, a duet between Bon Iver and St. Vincent (aka Justin Vernon and Annie Clark). Hyperbolic UK rockers Muse also return as the only band to be on board both the "Twilight" and "New Moon" soundtracks. Great song. Great performance... Anxiously waiting for the Deluxe CD/DVD version of Kid Cudi's new album to hit my mailbox. CLEVELAND, OH – September 17, 2009 – For a limited time only, concert fans can buy The Live Nation Club Passport for $49.99, All-In and No Fees, and see every show at the House of Blues Cleveland for the rest of the year, subject to availability. If you’re a Live Nation Club Passport holder, and the show’s not sold-out, you’re in! The Live Nation Club Passport is available only at www.livenation.com. Here’s how it works. Beginning today concert fans go to LiveNation.com and purchase a Club Passport. A list of participating shows will be immediately available. Every Monday thereafter, Passport holders log on to LiveNation.com/Passport or follow Live Nation on Facebook or Twitter to see the list of participating club shows in their city and to reserve their ticket. From here, Club Passport holders just bring their Live Nation Club Passport number and photo I.D. to the House of Blues box office and get right in, no extra charges, no hassles. **More shows will be added on a weekly basis. I've heard of this "Ice Cream Man" before, but this is my first time seeing him... 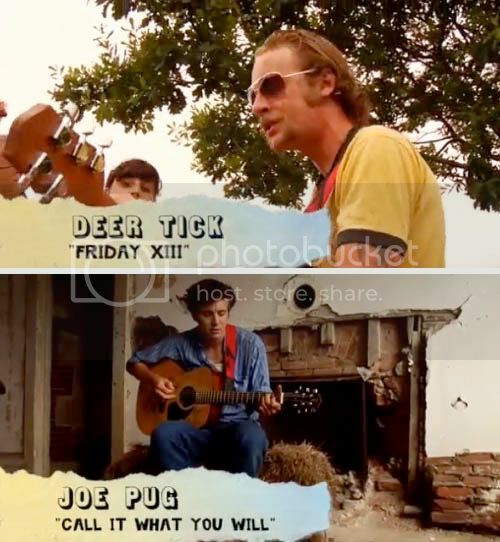 This little video highlights his adventure at the Newport Folk Festival, along with the sounds of Deer Tick & Joe Pug - two of my new favorite musicians. It's quite the little tasty treat for your Tuesday Morning. No embeds, but go ahead and click on the image below. Here's a new one... 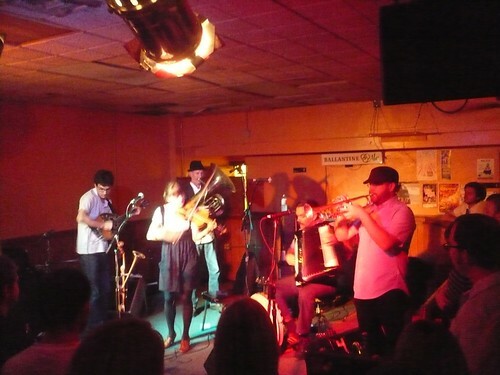 Here's a clip from Denison Witmer's performance at the Beachland Tavern this past Friday. I really wish I could have made it. Just catching up after a long (and phenomenal) camping weekend... Have some great shows to catch up on, as well as some great photos to share. In the meantime, I wanted to give you a heads up that my friend Rebecca's show / Shindignation! / on WRUW 91.1 has moved to Friday's from 9-11pm. Listen while you drink. Seeing these guys at the Spot on Campus tomorrow!